When Richard S. was picked up for being "under the influence" earlier this year, his parole officer decided it would be better that, instead of jail, the 39-year-old Sonoma County resident attend a 90-day rehab program. After two months in a drug-treatment facility, Richard says that he's keeping out of trouble, but that he's become frustrated by one thing in particular—the lack of secular options for support groups. "All programs push the 12 Step," says Richard by phone from the facility. "Supposedly, it's the most successful, but it still pushes a lot of people away, because not everyone believes in what they believe in. They insist you pray before, and they insist you pray after. They're bringing religion into it." Recently, Richard began attending one off-site meeting offered by the secular recovery group LifeRing. 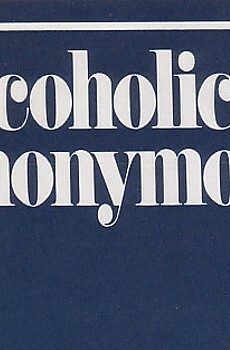 Based in Oakland, LifeRing advocates "empowering" the sober self, whereas Alcoholics Anonymous insists on powerlessness over alcohol in the face of God. With a long history of drug and alcohol abuse, Richard says he likes LifeRing's approach—no "war stories" (aka drunkalogues), no steps to work and no dogma. "I'm not going to put down AA, because it's helped millions of people," says Richard. "They've inspired me and encouraged me. But I don't think it should be shoved down people's throat." Byron Kerr, a culinary student at Santa Rosa Junior College and LifeRing member, would like to see more options for people like Richard. After moving to Santa Rosa from Santa Clara County in January, Kerr says he was shocked to discover how much the "dominant support group was somewhat entangled, or embedded, in the local government." 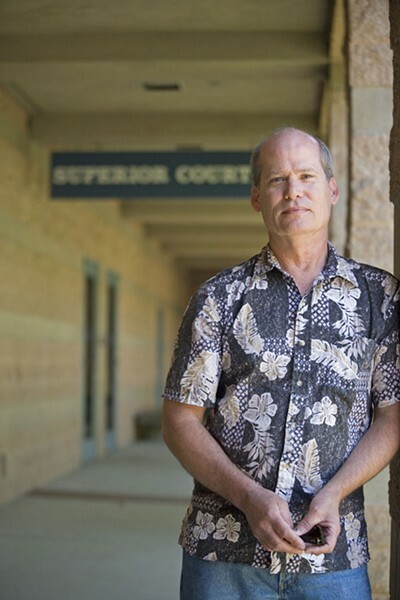 Kerr, independent of LifeRing, made it his mission to ensure that those sentenced for drug and alcohol offenses in Sonoma County are given secular options. The basis for his argument is the 2007 United States Court of Appeals for the Ninth Circuit ruling Inouye v. Kemna, which ruled that forcing someone to attend a 12 Step program, without offering alternatives, constituted a violation of the Establishment Clause of the First Amendment to the U.S. Constitution—also known as separation of church and state. "This argument is not about whether 12 Step is good, bad or ugly," says Kerr. "It's about choice; it's the law." On April 6, Kerr sent letters to the Superior Court of California and the Office of the County Counsel. Here, he accused both the county and the court of violating the Establishment Clause of the First Amendment by exclusively referring drug and alcohol abuse clients to 12 Step support groups. If the matter weren't addressed in a timely manner, Kerr asserted that he would seek legal action. "If a county facility is hosting a faith-based support group, they must also offer their facility to a secular support group," he wrote. "If the court is ordering substance-abuse clients into support groups, it must offer secular groups as an alternative, and must make their availability equally known to the public." Kerr says he found one particularly egregious example in a document called the "Participant Guide to Drug Court," which is made available through the Sonoma County Department of Health Services website. "There's mandatory attendance in AA or NA meetings," says Kerr. "And no hint of an option that anything is acceptable other than 12 Step." Two months later, Kerr received a response from Court Executive Officer José O. Guillén, who said that the court was in full compliance with the mandates of federal and state law. 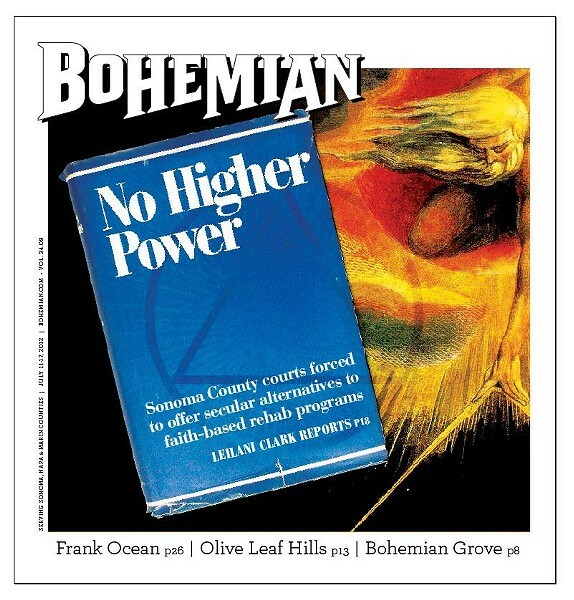 By phone, Guillén tells the Bohemian that individuals sentenced for drug or alcohol convictions are offered the opportunity to attend self-help meetings that "could" include 12 Step, but are not limited to just that. "There's an array of self-help available within the county, and the court wants them to participate in them as part of drug or DUI treatment," he explains. "I personally don't know what's out there, but the county and all of the service providers assemble a list of the things that are available, alternatives that are faith-based, non-faith-based, the full gamut. Our goal is to have individuals engage in some kind of self-help."